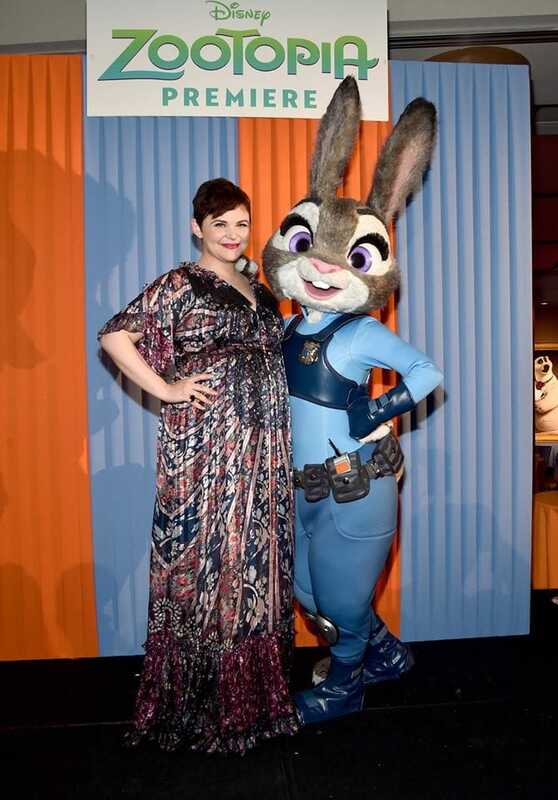 Last week, while I was in Orlando with Disney, I had the opportunity to interview actress Ginnifer Goodwin from the upcoming film, Zootopia. I love Disney just so much. I love these trips almost as much as I love seeing my kids light up when we go as a family! The behind the scenes action and insights I have access to on these trips really blows me away. 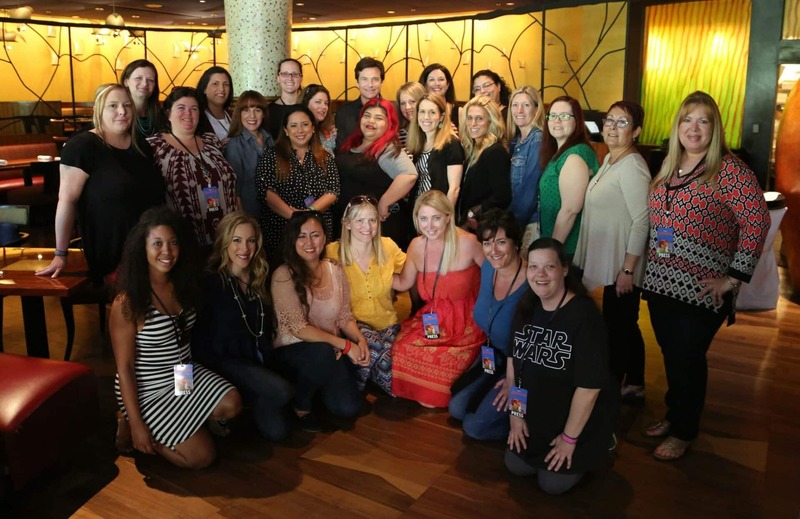 Such an awesome experience and such star power always associated with the trip and with Disney! It’s kinda magical, really. If you are looking forward to seeing Zootopia with the family (and you truly should…great movie) you will be happy to hear some insights from the actors! Q: How did you prepare for your role as Judy Hopps? GG: I would like to say that I have a lot of artistic integrity and lived on a rabbit farm for a month, but, I really just relinquished all control, which was new for me. This is a new world for me, animation, and I understand that everything physical, everything making up everything that you see, as much as they might have filmed me with cameras in the recording booth, was really in the hands of the animators. It’s the most fun I’ve ever had. No one should get paid to have this much fun. Except me. I’ll totally take it. Q: What did you think when you first saw Judy Hopps with your voice? GG: Oh, it was, it was a dream. I didn’t see an entire scene until I saw what became the first trailer. This was the block DMV scene in its edited form at D23. I had saw it while standing backstage with a monitor at the same time that all of the thousands of fans did. Before that, I had seen, I guess they’re called animatics, all of the artwork that they had put up for me as reference. They would always decorate the sound booth in artwork which was incredibly inspiring and anything new would go up for me to see. I was really blown away. I still can’t get over it. I do thank goodness, when I’m watching the movie, forget that it is me and I can get completely lost in it which is something that I can’t, unfortunately do when I’m watching something live action because when I’m watching something live action, I’m just going, I need to lose five pounds and I hate the way I said that line. I was swept up in the story, but sometimes I am brought back into it by realizing that Judy does something with her hands that I find very familiar. It blew my mind. I’m a bit quick to tears, but I start crying the second the castle comes up and says Disney. Q: Have you overcome any stereotypes in your life the way the two characters have in the movie? GG: Becoming an actress in the way that I’ve become an actress was overcoming other perceptions because of the fact that I am not a stereotypical, classic package of a Hollywood actress. I’m proud of that. I thought I could be a leading lady anyway because there are all kinds of ladies and all stories need to be told. So why wouldn’t my kind of lady lead a film at some point? Being an actress in general, takes an exceptionally thick skin since we’re rejected on a daily basis for any number of reasons. I’ve always been pretty good at letting it all roll of my back. Q: As a mom, what would you like kids to take away from the film? GG : There’s so many incredible themes in this movie. The one that I gravitate towards the most was that anyone can be anything and I absolutely believe that. I believe that defying other peoples’ expectations of stereotyping me and how I am received. I do believe anyone can be anything. I believe that there are infinite amounts of opportunities for everyone. I’ve never understood this idea that there’s so many pieces of the pie. I always just look at it as there’s an infinite number of pies. There’s, there’s enough to go around and there’s enough for everyone to carve their niche in life. That’s the thing that I would hope my kids take away from seeing Zootopia. Q: Has becoming a parent affected what kind of roles you take on? GG: Absolutely, but, I would say, nesting and wanting to become a parent affected the roles I wanted to start taking only when I was about to hit thirty. It wasn’t something that I really consciously thought about then I suddenly realized this is something that having children is not just something that I want but that it is unacceptable for me to go through life, for me, without children. This is something that I must have for myself and that made me look at the job I was on at the time, which was Big Love. I know that that affected my decision, decision to take Once Upon a Time which then led to Tinkerbelle with Disney Home Movie and my first experience doing an extensive amount of voice work for animation. Zootopia was a no brainer. It changed the kind of entertainment that I want to love. That’s not to say that I don’t want to want to explore darker things again. But I love that I have this now as part of my, as part of my career. Q: Has your son seen the movie and does he know that’s your voice? GG: He hasn’t seen it and we only recently decided that we’re not going to let him see it for a long time, but maybe not for reasons that we was expected of ourselves. We kept him from all entertainment, all technology-based entertainment until this point. He’s about to turn two. He just had the flu and we let him watch Winnie the Pooh for the first time. Up until this point, he’s a reader. He’s extremely physically active. He’s a player and we really encouraged him to let that be his forms of entertainment. I thought that we were going to let him see Zootopia. Then we saw Zootopia and it’s almost out of our love for it that we’re going to keep animated things of which we are a part as parents, away from them. We realized Oliver thinks that Winnie the Pooh is real and we would never want to shatter the illusion that he’s not. Not only does he think that the animated Winnie the Pooh is real, but he, of course, because he’s almost two, thinks that the Winnie the Pooh that he met at Disneyland last month is the same exact Winnie the Pooh that was onscreen when he had the flu. I’m just terrified that he would see Zootopia and he’s a smart kid, and he would say, that sounds an awful lot like Mommy. I’m going to keep that from him as long as, as possible. I want to push him to be imaginative. I never thought about actors and their children seeing their movies! 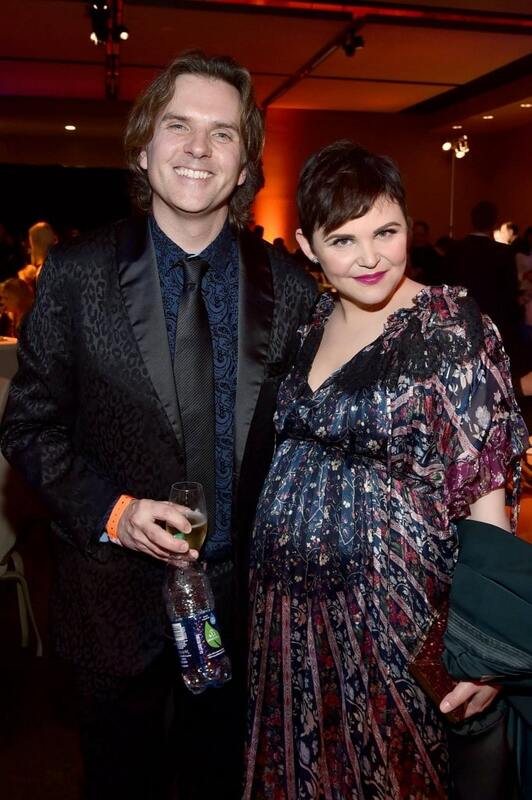 I love Ginnifer’s stance of keeping her little ones away from her personal films. You don’t want to spoil the magic and the mystery too early, right?? Keep them young as long as possible!! Q: What qualities do you find in yourself that you see in Judy Hopps? GG: We’re both fiercely optimistic and we’re both idealistic. We’re both a bit self-righteous which can then lead into the flawed, which I love. I don’t like playing characters who don’t have some flaws that are similar to my own. I love that she believes that before one can make the world a better place, one has to make one’s self better. There’s nothing more responsible than that. I would love to be that responsible. I also wish I were as fearless. I try things, too, but when I try things, I’m often secretly a bit scared and I feel like she didn’t get the scared gene at all. 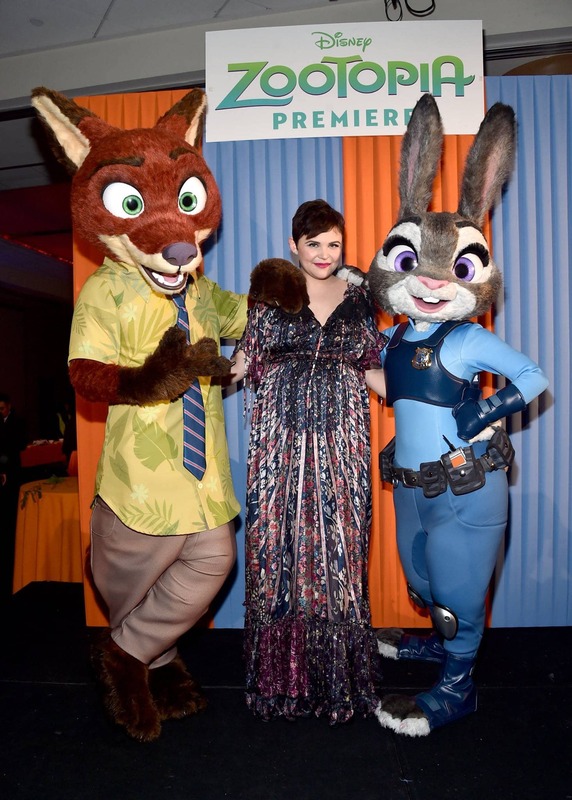 Want To Read More Of My Zootopia Coverage?